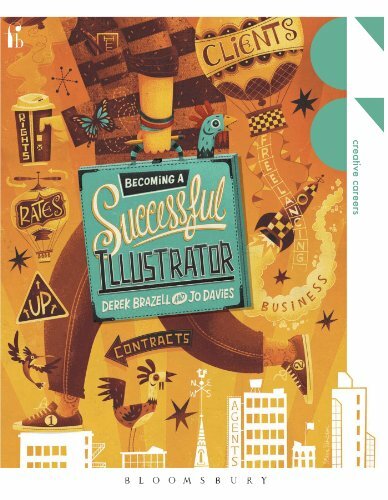 Becoming a Successful Illustrator is a helpful book for new illustrators entering the field of creative art and design. The topics covered includes the challenges one might face as an illustrator, who the clients are and where to find them, different fields of work, self promotion, getting your work seen, securing work, understanding the finance and business side, setting your rates, legal issues, agency representation and other job tips. The write-up is almost in academia style. Along the way are many spotlight features written by clients and illustrators talking about their own experience and issues. There are things like how you can get noticed by clients, the different types of promotion, whether you should get an agent, etc. There are some good tips on what you can do to be more successful and stand out from the crowd. The book takes a well rounded approach and covers most of the technicalities of what's required for the job. Overall, it's fairly helpful guide into what you can expect in the future working as an illustrator.